Heeft u een vraag voor Inn A Day? Goed gelegen in Bangkok Riverside, is het Inn A Day het ideale vertrekpunt voor uw excursies in Bangkok. Het hotel ligt 6.5 km van het stadscentrum en de belangrijkste faciliteiten zijn dus goed bereikbaar. Dankzij de praktische locatie liggen alle belangrijke trekpleisters in de buurt van het hotel. Het Inn A Day biedt gasten superieure dienstverlening plus een breed scala aan voorzieningen en is toegewijd om uw verblijf zo comfortabel als mogelijk te maken. Het hotel biedt gratis wi-fi in alle kamers, bagageopslag, wi-fi in openbare ruimtes, roomservice, vervoer van/naar luchthaven om gasten een maximaal comfort te garanderen. Alle accommodaties beschikken over doordachte voorzieningen om een ongeëvenaard gevoel van comfort te garanderen. Daarnaast garanderen de talrijke recreatieve mogelijkheden dat u zich tijdens uw verblijf kunt vermaken in het hotel. Het Inn A Day is een slimme keuze voor mensen die reizen naar Bangkok: een ontspannen verblijf is gegarandeerd. Wat een prachtig uitzicht vanuit je kamer op de Wat Arun. Met de Countdown Thailand 2016 zaten we eerste rang op ons balkon. Onvergetelijk! Mooie kamer, uitgebreid Thais ontbijt (aanrader; er is ook standaard westers), vriendelijk personeel, kleinschalig en centraal gelegen. Hier komen we zeker weer terug. De eigenaars zijn erin geslaagd om van een vroeger pakhuis een eigentijds hotel te maken. Het hotel ligt ideaal aan de rivier met zicht op de Wat Arum. Dit is vooral 's avonds prachtig. De vriendelijke sfeer, samen met de ligging en inrichting maakten van ons verblijf een belevenis. 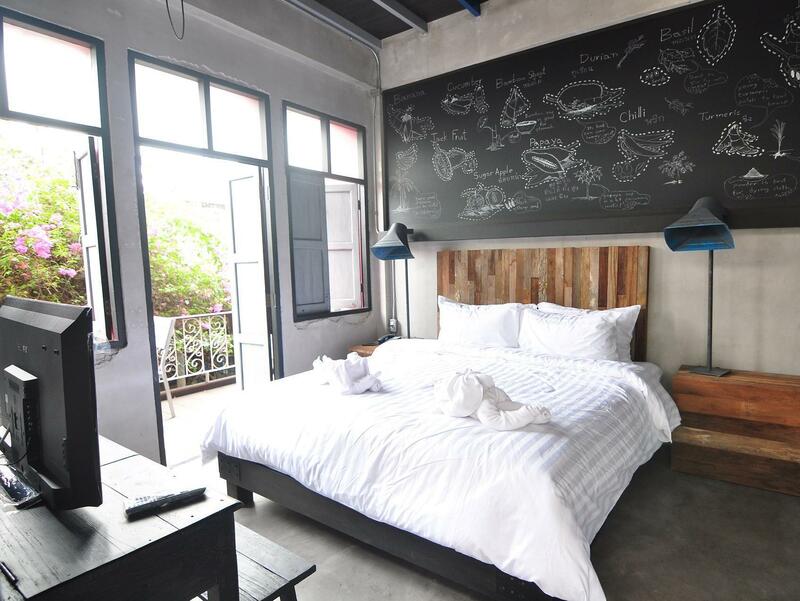 LOVE LOVE LOVE this trendy and adorable boutique hotel. We stayed in the 3pm room which was so cute and had amazing views of Wat Arun across the River. Great location very near Grand Palace and Wat Pho. Patios are small and probably only useful for smoking. Staff was incredibly friendly and helpful. Breakfast was truly some of the best food we had in Thailand. Walk-up only but staff is available to assist with bags. Warning: no privacy in the trendy bathrooms if you’re not staying with someone you’re comfortable disrobing, showering, or urinating in front of. Cannot recommend highly enough. Location is smack in the center of the main historical attractions. The Inn is very clean and with character, the staff were helpful and accommodating. This place is walking distance to the Grand Palace and practically across the street from Wat Po. Food is great amenities complete and really great staff. If you want proper costumer service stay here. What a wonderful find this place was! The views of Wat Arun from our room were stunning. The place is family run and the staff are lovely and attentive and very helpful. 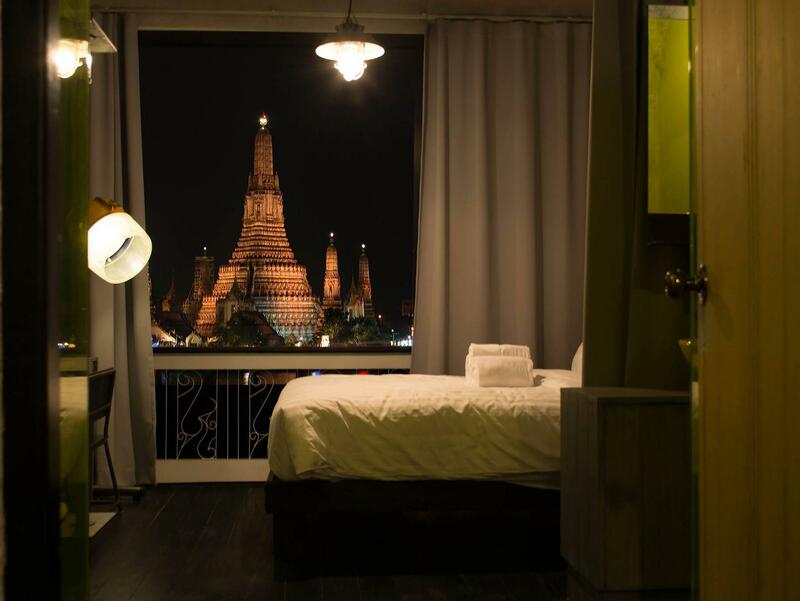 The place is a small boutique hotel, that stands head and shoulders above some of the generic Bangkok hotels in the same price range in terms of charm, comfort and friendliness. The asian breakfast option was different each day and very tasty. 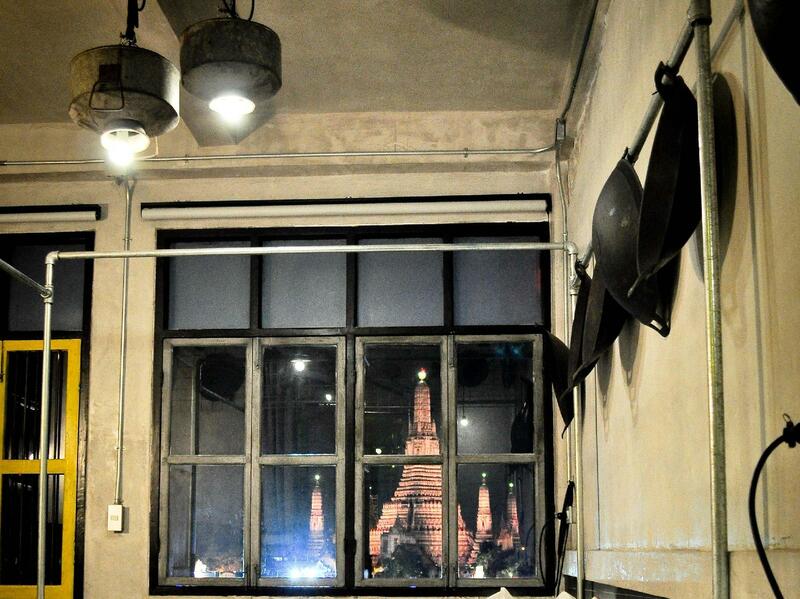 We will happily return and would recommend for travellers looking for a personal Thai style stay in Bangkok. Awsome location to see Wat Pho and The Grand Palace. Awesome views of Wat Arun from my room. Thai breakfast...amazing. Loved the charming, confortable and unique rooms with amazing views, food delicious and very friendly and hospitable staff! Great location. You cannot deny that fact. Friendly staff. We had to wait to be checked in as the son who knew everything went out to deliver food to the crowd outside. Which I thought was excellent gesture. There was nothing wrong with the place. We just went there to rest and stroll around at nighttime. The Wat and river view at night is unbelievable. A few minutes walk to Royal Palace. Very good food at very reasonable price. Personal and superb service. After a week long trip back from Bhutan, we truly missed green vegetables. Hearing us ask for "morning glory" twice, the own's son said "I will ask my mom to buy some for tomorrow". Sure enough, we saw the Green the next morning for breakfast! So thankful! Family run hotel, well maintained. Food was good and the location is great to see the sights. 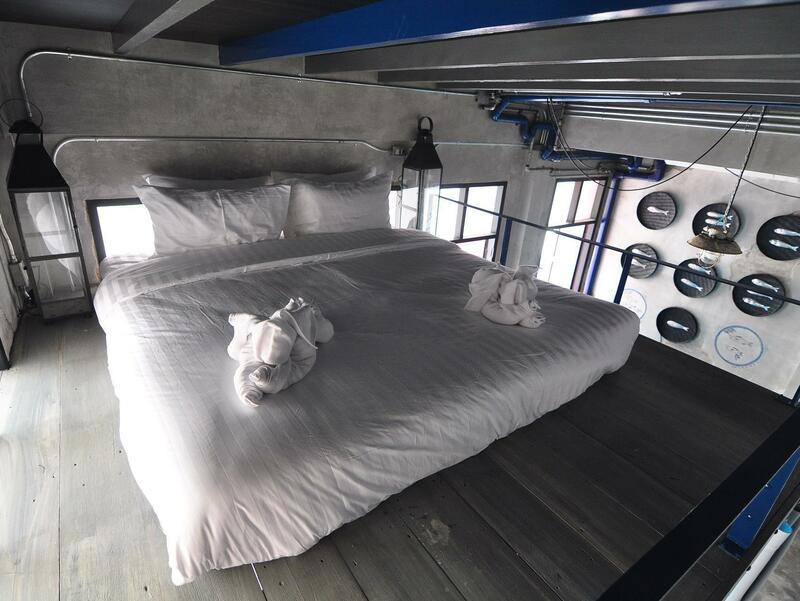 Really interesting botique concept for a hotel - designed like an industrial warehouse which as the owner explained to me was due to the place's history as a warehouse for palm sugar exports. Would recommend any traveler looking for an alternative to the normal hotel fare in crowded central bangkok! Can't beat the location, opposite Wat Arun has a great view sunrise/sunset. Balcony is fantastic for having lunch or dinner that can be ordered to your room. Rooms 1PM 2PM 3PM 4PM Riverview Rooms + Family Suite top floor. Glass Showers/Toilets no doors so only go with close friends to save embarrassing situations. wifi good. Book in advance as they are a popular Family owned Hotel. Inn A Day has taken a part of Thai history, one with a great riverside location and breathed new life into it! It is both warm and classy. Everyone should complete their Thai experience with a stay at Inn A Day. 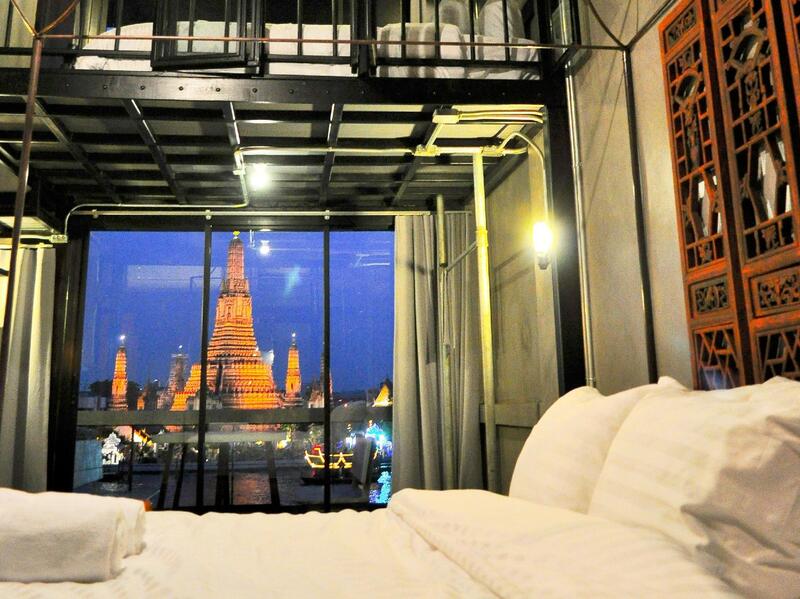 Amazing view of Wat Arun Stupa across Chao Phraya river from your room. Nice breakfast and great service from hotel staff. Location is the best close to Wat Pho and in walking distance to Wat Phrakaew. Staff was very kind and helpful. Food was cheap in price but exotic in taste. Quirky design. Inn a Day is a wonderful converted coconut sugar factory with a clever industrial feel including a reception counter made of tins filled with coconut sugar. Stunning views out the bedroom window of Wat Arun (Temple of Dawn) across the river. Our room was themed “Tailor” and was the 3 pm room. It came complete with Dressmaker dummy lamps and metal cut-out “patterns” on walls. Comfy bed. Fabulous breakfasts (all meals were great) and excellent coffee too. Very close to the Grand Palace and Wat Pho with the Reclining Buddha. The tiny balcony off our room was wide enough for a breakfast bar and stools and was a great place to sit with a gin and tonic watching the river traffic go by at night including the many, many, many dinner cruises popular with locals. The very friendly staff helped us to organise tours and navigate our way around. We also enjoyed using the river boats to get to Saphin Taxin to connect with the skytrain. I have been travelled to Bangkok many times. I decided to find a place not just near BTS for shopping and spa, but enjoy the nature in Bangkok. My decision is great! You cannot miss this place, I highly recommend this place for any visitors ! It was a super wonderful stay. 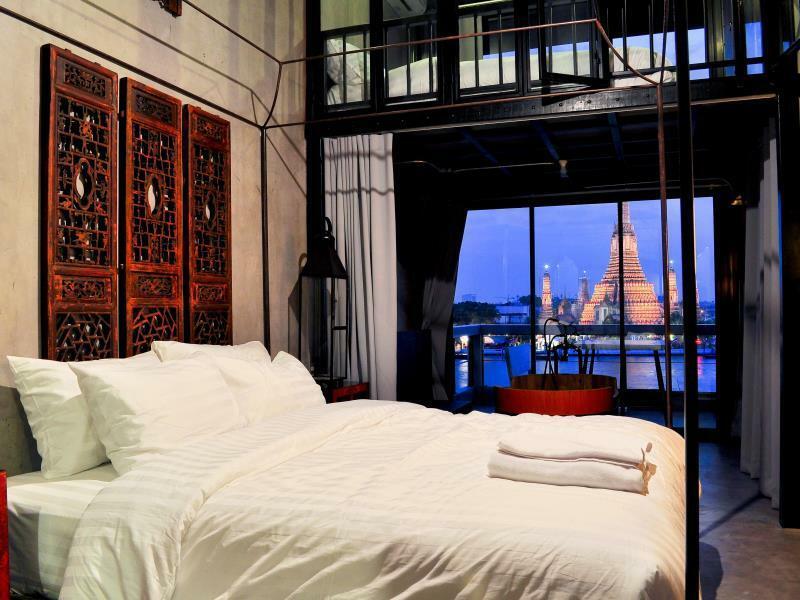 The room design is extraordinary with the most spectacular view of the river and the temple. It might be a bit hard to spot the hotel due to the nature of the location but ask anyone. I have nothing to add to all of the comments below...place just amazing, very close to everything! Probably the best where i've ever stayed at. It s running by the most kindest and nicest Thai people ever. They helped me alot with my baggage loss and made my stay there unforgettable. Thank you! Highly recommend Inn a Day.